The salary-linked loan provider has raised a seed round of $900,000 from Fosun RZ Capital, Eric Bunting, Krishna Vinjamuri, and Karan Virwani. PerkFinance, India’s first and leading salary-linked loan provider, has raised a seed round of $900,000 from Fosun RZ Capital, Eric Bunting, Krishna Vinjamuri, and Karan Virwani. Fosun RZ Capital is an affiliate of Fosun Group, while Eric Bunting is the founder of Overbrook Capital and an early investor in more than 26 fintech start-ups around the world, including Kabbage, Funding Circle, and Yapstone. Krishna Vinjamuri is an angel investor and was a VC with Lightbox and Sherpalo. Karan Virwani is the CEO of WeWork India. PerkFinance is also a member of WeWork Labs, WeWork’s global platform dedicated to empowering early-stage start-ups, providing them with space, global community, and educational resources to help them grow. PerkFinance was among the first start-ups to be selected for the WeWork Labs programme in India earlier this year. Consulting firm Boston Consulting Group estimates that the digital lending market will exceed $1tn in value by 2023. This is because the conventional lending models that banks typically offer fail to include the majority of salaried professionals. Low-income earners are hit the most as they struggle to build up a credit history or provide the necessary documentation needed for banks to issue a loan. PerkFinance partners with employers to provide affordable loans to their employees at no cost to the company. 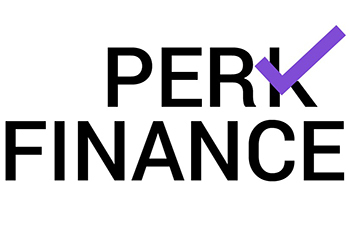 PerkFinance’s financial products improve employee well-being, thereby boosting productivity and reducing attrition. Borrowers can customize the amount (Rs5,000-1,00,000) and tenure (3-12 months) of the loan as per their financing needs. Loans are reported to the credit bureau enabling borrowers to improve their credit score and obtain approval for higher loan amounts, longer tenures, and reduced rates of interest. PerkFinance has partnered with more than 20 employers with a combined workforce of more than 30,000 employees. Vikas Kothari, Yogesh Keswani and Vivek Kandkur are the co-founders of PerkFinance. Vikas was a VC at Lightbox ventures and is an SJCE and Oxford Said Business School alumnus. Yogesh is an IIT Kanpur and Oxford Said Business School alumnus and has worked at Lehman, Nomura, and Hitachi. Vivek has built, and scaled technology for large engineering companies and has been a part of two tech startups in the last three years. “We are building win-win solutions in the personal finance market by working with companies and their employees, and our lending partners. We will use the investment money to scale our model by enhancing our technology and marketing”, said Vikas Kothari, co-founder, PerkFinance. “PerkFinance is changing the lives of millions with its product. For a long time, blue-collar workers have struggled with exorbitant interest rates. This needs to change and Perk is doing exactly that,” said Tej Kapoor, Managing Director and Head of Fosun RZ Capital India. “I like PerkFinance’s strategy. It is a great product for employees and employers. All of the elements work together to keep customer acquisition cost low, customer retention high, bad debt low and effective cost of credit to employees low,” said Eric Bunting. “Many people working in stable jobs are perceived as risky by banks and are ineligible for loans. PerkFinance considers the stability of the relationship between the employer and employee while doing risk assessment to offer low-cost loans,” said Krishna Vinjamuri.